Decided to give the sand a rest and go hit the bridges. 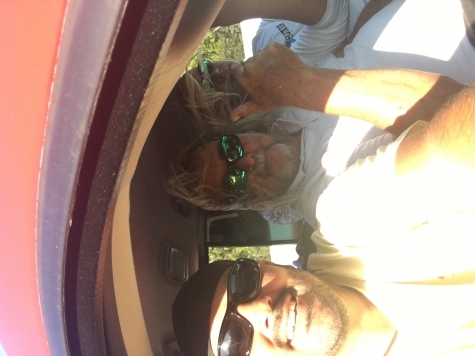 On this trip it was Luis, Jonathan and good friend JD Hammer. We arrive at the spot and we all 3 put baits out. There was still a little day light. Shortly after putting our baits out we see a couple of Blacktip Sharks come in. "We all stand by our rods and we jerk the baits away from the Blacktips." We all stand by our rods and we jerk the baits away from the Blacktips. We are not targeting them on this trip. Just at the sun went down Hammer's 16/0 packed with Bullbuster Monofilament gets picked up. Hammer is aggressive with this shark. 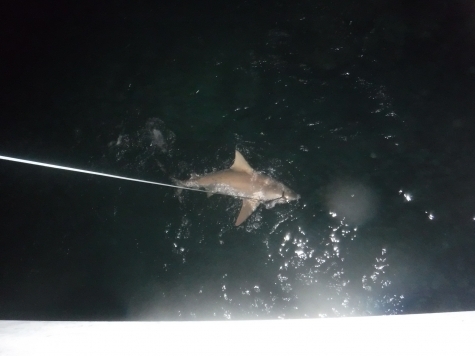 After a short battle we see that its a Nice Lemon Shark. It's about 7 1/2 ft long. 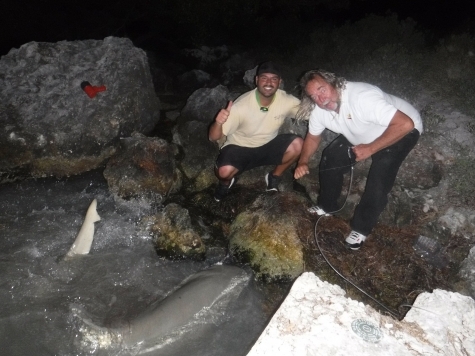 Luis and Hammer walk the Lemon Shark down to the base of the bridge for some pics. Jonathan stays with the other rods. While taking pics of the Lemon Shark, Jonathan screams from the bridge. "Luis tells Jonathan that's your fish get em." Something is going on. Luis and Hammer release the Lemon Shark and Luis runs back up the bridge to go help Jonathan. As Luis arrives Jonathan is hooked up to a Big Shark on Luis's 14/0. 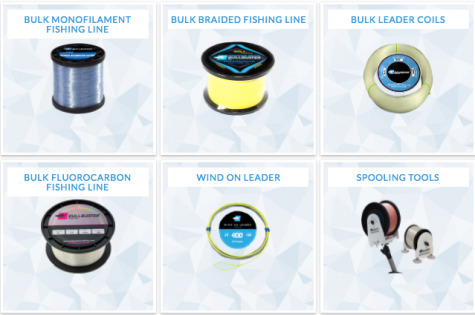 The 14/0 has Bullbuster Monofilament and a Bullbuster Grander Leader. Luis tells Jonathan that's your fish get em. "Luis takes over with the Shark still a good ways out." But shortly after that Jonathan says I cant anymore my back. Jonathan likely needs back surgery. So Luis takes over with the Shark still a good ways out. After a good strong fight from this Shark, a Big Bull Shark appears. They get the Shark straight up and down and snap some pics from the Bridge. "This is a Big Bull Shark with some serious girth." Then they walk the Bull Shark down for better pics. This is a Big Bull Shark with some serious girth. After a good release the tide is changing and they pack up and head to another bridge. At the next bridge they get two hits but miss them both. Once the tide changed again it was time to head home. 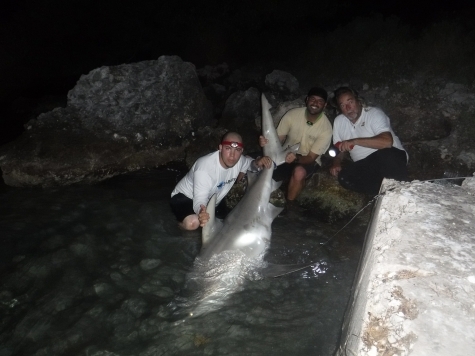 A great productive night with a Big Bull and a Nice Lemon Shark and good times spent with good friends.